Q: How do I get rid of the tiny bumps on the backs of my arms that always show up this time of year? 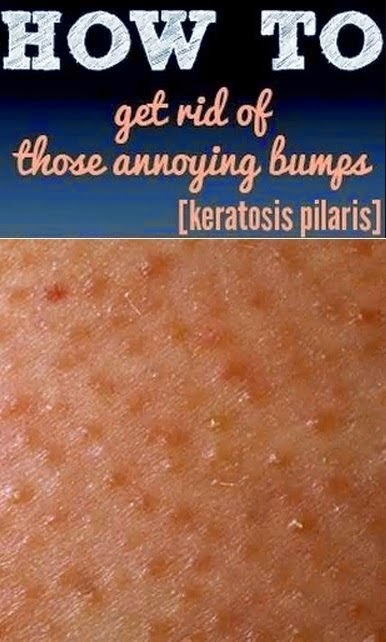 A: Those bumps are called keratosis pilaris, a form of eczema, says Jeanine Downie, MD, director of Image Dermatology, in Montclair, New Jersey. They pop up more in winter because the lack of humidity in the air makes skin drier. A combo of gentle exfoliating and moisturizing can help. We like the Bobbi Brown Beach Body Scrub, $36 because the beads are soft on skin yet strong enough to get the job done.